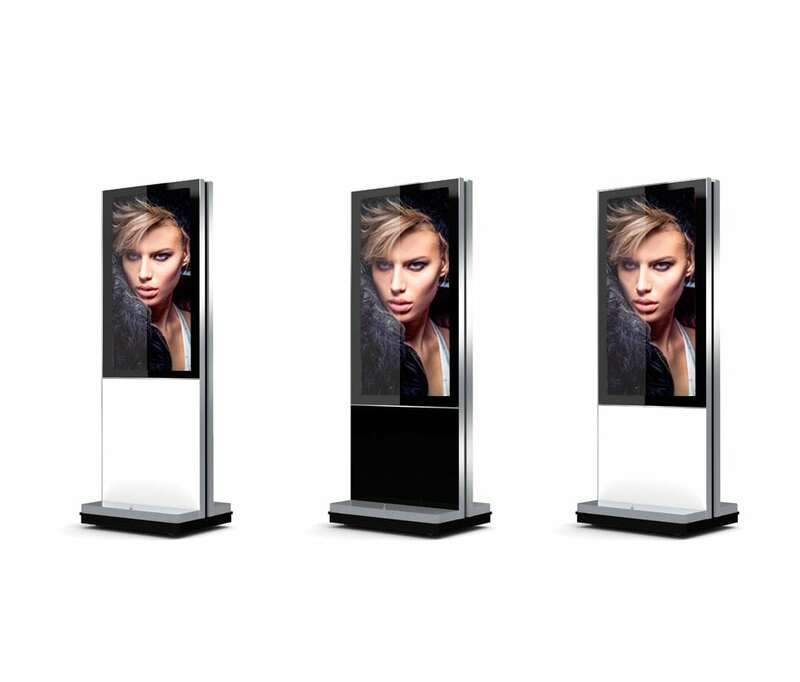 Design Science has spent almost a decade perfecting the battery powered display technology that makes it possible for large-format and interactive digital displays to operate off nothing but a battery for 12 or more hours. That means, finally, digital can be where it makes the most impact – without clients worrying about running power cables across floors or dropping them from ceilings. Intense R&D work has resulted in displays that run full workdays – on showroom floors and in trade show halls – on military-grade, completely safe rechargeable batteries. Don’t compromise! Guide, direct, educate and inform where it’s needed in front of your client’s eyes – not where there’s power available. 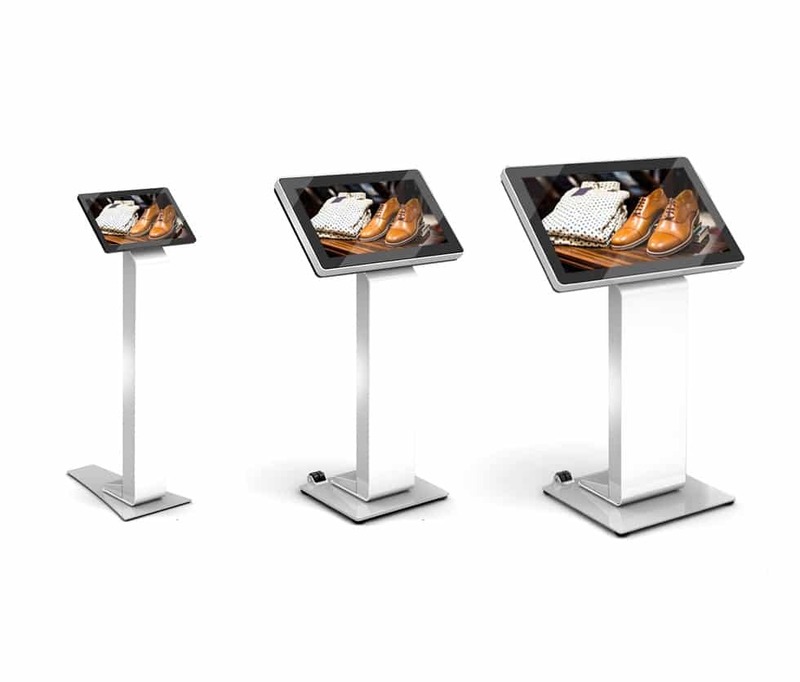 Design Science B1 Series interactive stations are angled interactive touchscreens on podiums, equipped with wheels or glides to allow easy repositioning. They’ll work all day and recharge overnight, ready to go for the next day. Standard sizes 15”, 22” and 32” – with larger custom sizes available. Locate your message in the optimal position – without worrying about getting power to your screens. 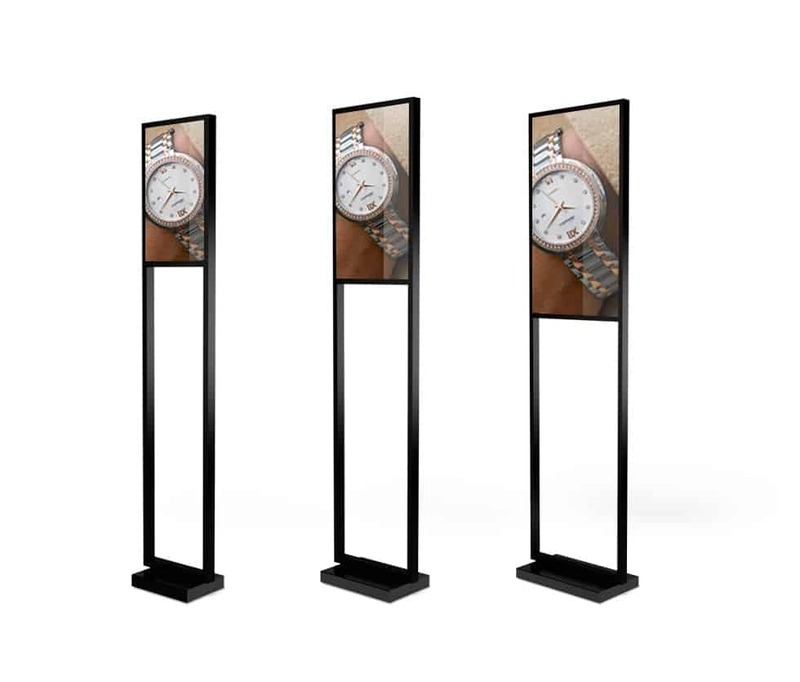 Design Science B2 Series Totem displays – in screens sizes from 36” to 65” – deliver 12+ hours of eye-catching videos and graphics off single charges. Nest screens right on a merchandising table. Put one on a podium at the entrance. Locate them wherever they’ll make a difference … without trying to hide unsightly power cords. 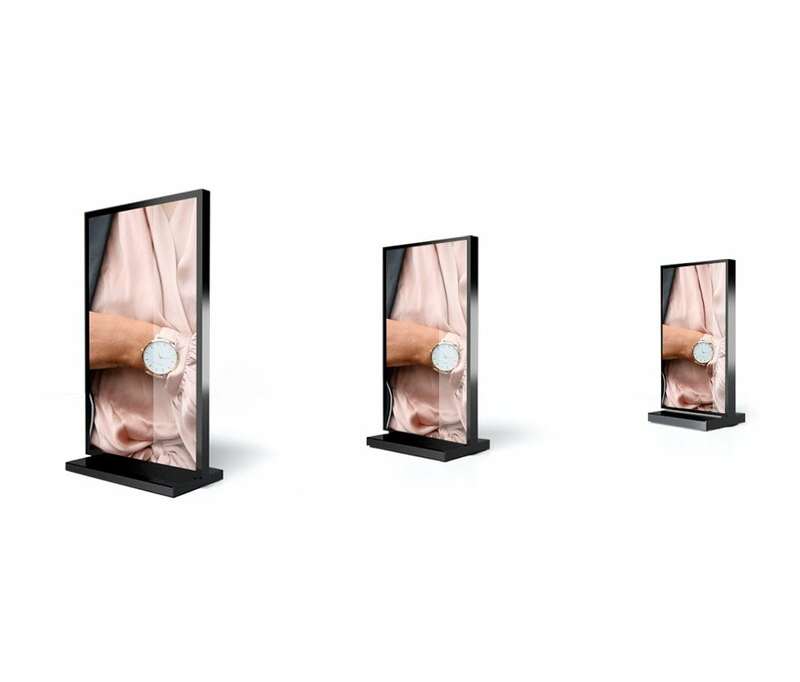 Customize B4 Series displays to your brand colors and finish in 15”, 22” and 32” sizes.